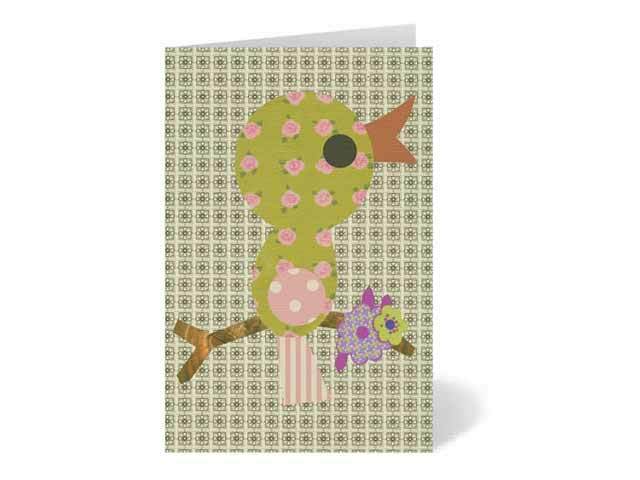 A lovely little Baby Bird greeting card from Petra Boase. With a mixture of patterns and embellished with googly eyes, this bird design is just the cutest. Sporting the same Girl Bird print as the matching sleepsuit, pair these together for a beautiful new baby gift.